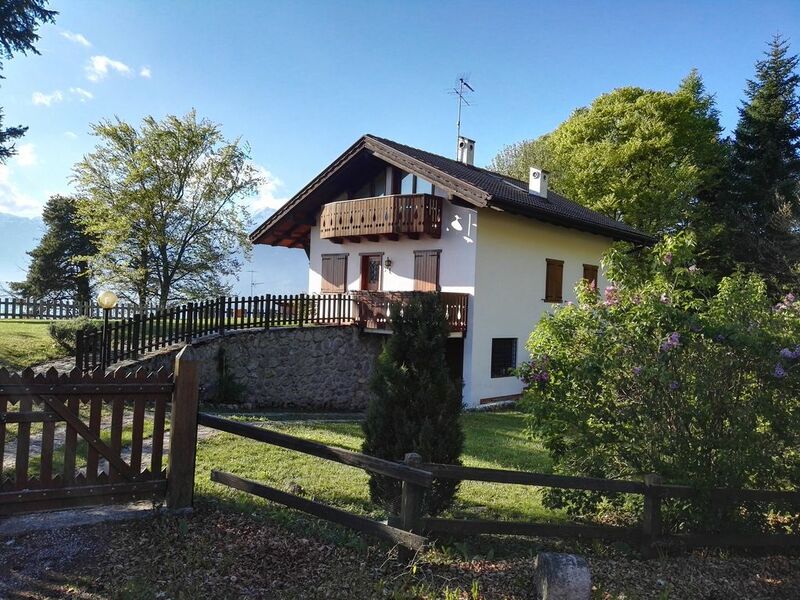 Una bella vacanza in una casa meravigliosa. A beautiful holiday home in a breathtaking environment. At an altitude of 1000 m you have a fantastic mountain panorama. It is ideal for walking and cycling but jogging is also possible. The morning and evening sunsets are magical and the view of the valley and the neighboring villages is incomparable. For late autumn the weather was like late summer. We will definitely come back sometime. The host is very friendly and accommodating. Thank you for everything. True value for money. La Casetta is situated in a nice park type area with more or less identical houses scattered around down the hillside towards the small lake of Lagolo. From the house you really can’t see the lake due to the huge old trees in the neighboring park, but the views of the snow clad mountain peaks on the other side of the valley are simply breathtaking. The cottage is very well equipped and furnished. The three bedrooms and two bathrooms provide personal privacy. We were welcomed by CORRADO even though we couldn’t make it to the cottage before midnight. CORRADO had even made sure that we could have a croissant and a good cup of coffee the next morning as well as a fruit bowl and a wonderful local bottle of wine was there greeting us welcome. Everything worked out just fine with the communication and we can only highly recommend CORRADO and la Casetta to others who want to hike, bike or ski in this beautiful and truly unique area of the Dolomites.